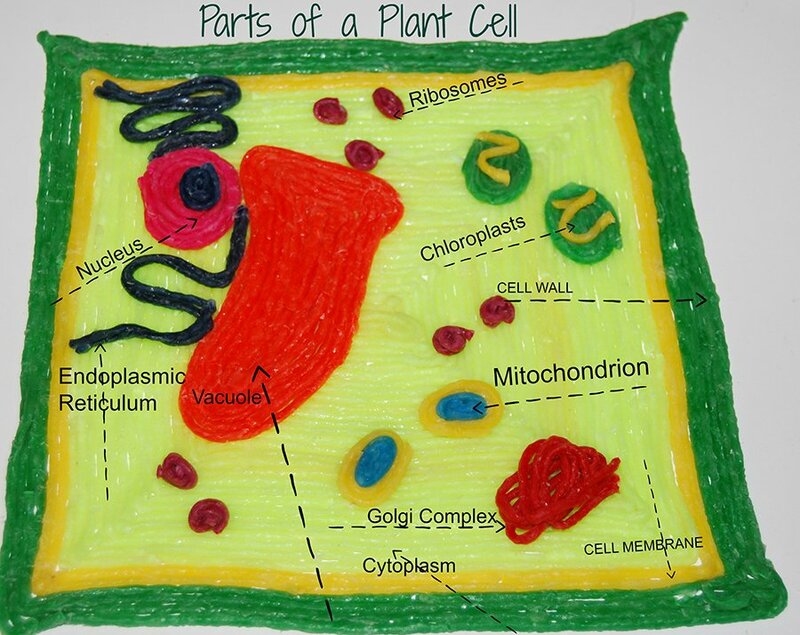 This introductory plant cell lesson plan is intended for use by students in grades 4-6. The cross-section of the plant cell and the organelles are created with Wikki Stix to support STEAM learning in the classroom or at home. Objective: to gain a working knowledge of a plant cell through inquiry and solution, hands-on creation of a plant cell cross-section, exploration of plant cell terminology, and digital documentation of learning. LA: Read with age-appropriate accuracy and fluency to support comprehension. TECH: Use digital technology to research, document learning, and support inquiry and solution based learning. ARTS and ENGINEERING: Use creative expression to design, develop, and construct a 3-D plant cell model. SCI: Develop and use a model to describe the function of a plant cell. MATH: Measurement and design of the shapes of the organelles and how the cell parts serve to function in context of the whole. SENSORY: Tactile and Visual Design of a plant cell. Cell Wall – provides a stable structure to support and protect the cell. Cell Membrane – provides a barrier between the environment and the cell – allows food, water, and oxygen inside the cell and waste products to move outside the cell. Cytoplasm – a gel-like substance that serves as life support for the organelles within the cell. Ribosomes – small organelles that provide protein for the cell. Mitochondrion – rod-shaped organelles with a double membrane that provide energy for the cell. Nucleus – directs all activity within the cell and contains all genetic information for the plant. Vacuole – provides temporary storage space for the cell (food, water, nutrients, and waste among other materials are stored in the vacuole). Endoplasmic Reticulum (ER) – is a folded transport system that moves materials around in the cell. The ER extends from the nucleus to the cell membrane. Chloroplast – uses sunlight, water, and carbon dioxide to produce energy for the plant (photosynthesis). Invite the children to demonstrate knowledge of the organelles of a plant cell through hands-on creation of a plant cell model using Wikki Stix. The models can be designed individually or in small groups. When the kids have completed the model, invite the kids to switch models and verbally explain the organelles in the model and what function they serve. If desired, the individual models can be labeled with small pieces of paper. The paper labels will attach to the Wikki Stix without the need for glue or tape. Each model will be unique and knowledge will be enhanced through sensory (tactile and visual) creation. Documentation of Learning: Invite the children to document learning through the use of video explanations of the parts of the plant cell or with the use of digital cameras to take photographs of the finished project. Extension Activity: Invite the kids to research the process of Photosynthesis. 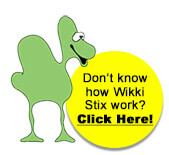 Have the kids create a Wikki Stix model of how the process works.